Each time she sat down to write her saree post, she would go through agonizing hours of research followed by hours of staring at the blank screen of her laptop. And each time she would come up with something reasonably nice. And that is how I think this saree blog chugged along. This time around, it was no different. Research—staring at blank screen—more research—staring at blank screen…and before I knew it, four weekends had passed. And then, when I saw her, head in hand, for the longest time, my patience and my forbearance gave way. I decided to step in and so here I am. Hello everyone. I am the Kanjeevaram silk saree and I will speak for myself. It’s not like you don’t know me. I know you do. 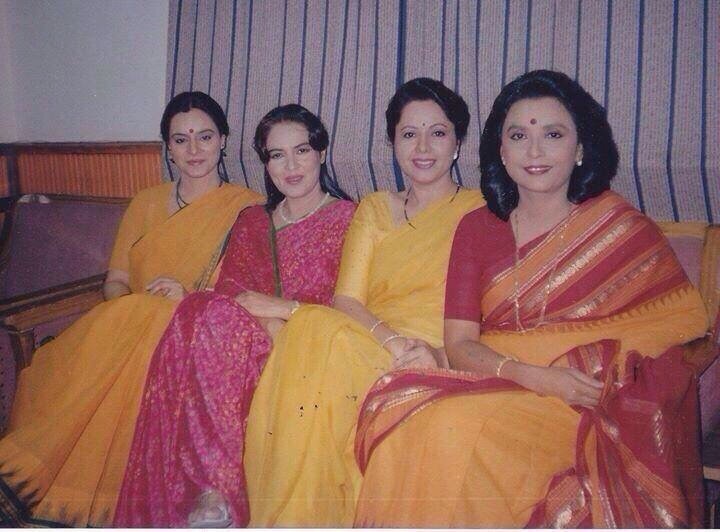 I am the grand old dame of all the silk sarees of India. If you spotted a silk saree with bright jewel colours, thick, strong, generously embellished with gold or zari work, you are most likely looking at me. 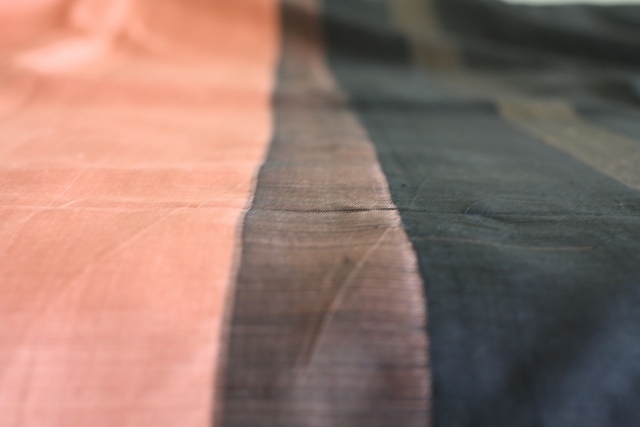 It is hard to miss the silken sheen and strength of this saree – almost 40 years old. Still rules parties. My most distinguishing feature is my heavily contrasted border and pallu. This contrast defines me in ways you cannot imagine. And I will talk about it a little later. 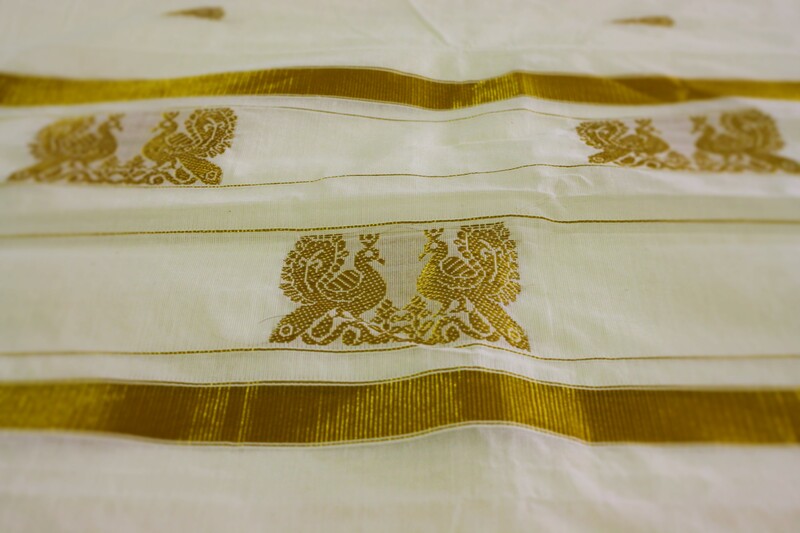 A pure white Kanjeevaram silk with a two-tone border. A classic. So as I was saying, my border and pallu are both quite distinctive. 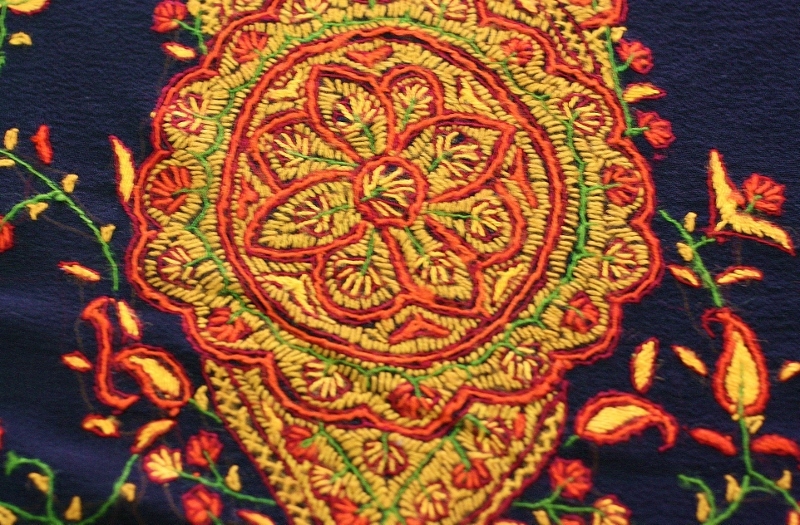 They are usually heavily embellished with gold or zari depicting traditional motifs like the lotus, parrots or peacocks – highly celebrated but rare motifs. And sometimes simple geometric patterns are used to add a subtle dash of glamour to me. You know some of my other relatives also have contrasting borders and pallus. With them, both the border and pallu, are seamlessly woven along with the body by changing the colour of the yarn, and in some cases with the same yarn. It’s nothing to write about from the rooftop. But with me, my border and pallus are not woven seamlessly. They are attached to my body. A korvai attachment leaves a jagged finish along the border. Look at the magnified circle to see the thread work. The technique of attaching the border to my body is called ‘korvai’, linked to the word ‘korai’ which means border. 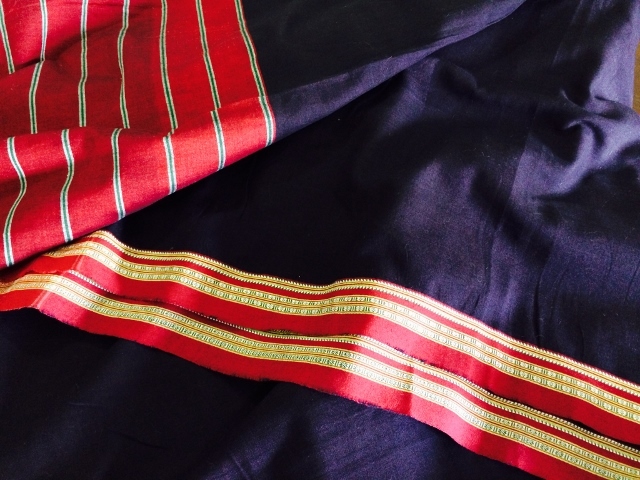 I am therefore sometimes also referred to as korvai pattu or the saree with ‘attached border’. The origin of the korvai technique can be traced to the 6th century. Allow me to explain how this technique came about – it will perhaps help you understand why this painstaking and labour intensive technique is used even today to create me. I was born in Kanchipuram, a small city close to Chennai, Tamil Nadu. Of course you know that. What you may not know however is the meaning of the word Kanchipuram and the story of its birth. The word Kanchipuram is made of ‘Ka’ – the creator, another name for Brahma and ‘anchi’ is a name of the worshipper Vishnu. This city was built by the great Pallavas, as a place of intense worship and learning (called ghatiksthalam in the Tamil language). Kanchipuram soon came to be known as the temple city. The Pallavas worshipped Shiva – the simple ascetic God – not known for needing grand ceremonial robes. His simplicity required nothing more than a white cotton veshti as an offering. 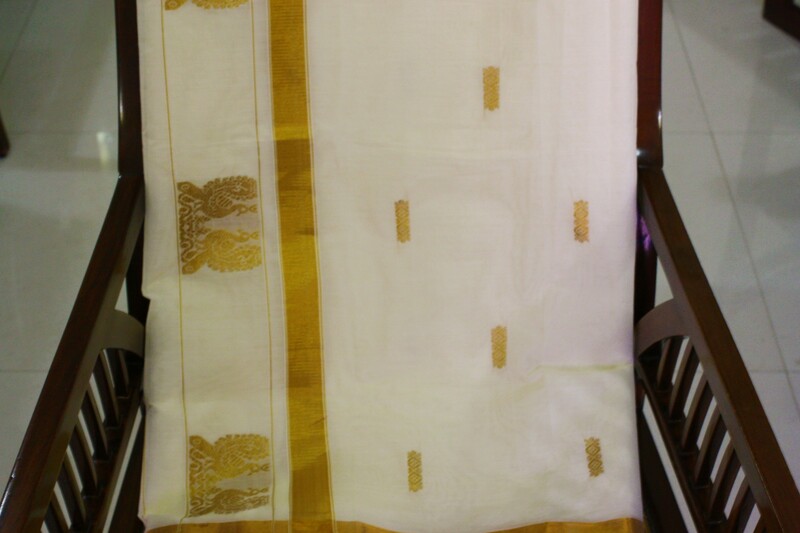 This veshti was woven by the finest weavers of that land, from the finest cotton that grew in that region. And in many ways this veshti was my earliest predecessor. But there’s more, read on. The might of the great Pallavas did not last forever. I think it was around the 10th century the Chola dynasty came to rule over Kanchipuram. Under their rule more temples were built making Kanchipuram a place of religious and spiritual nirvana. Now, the Cholas were Vishnu worshippers. Vishnu, the flamboyant lord, needed well, flamboyant robes. The cotton veshti had to undergo a change. 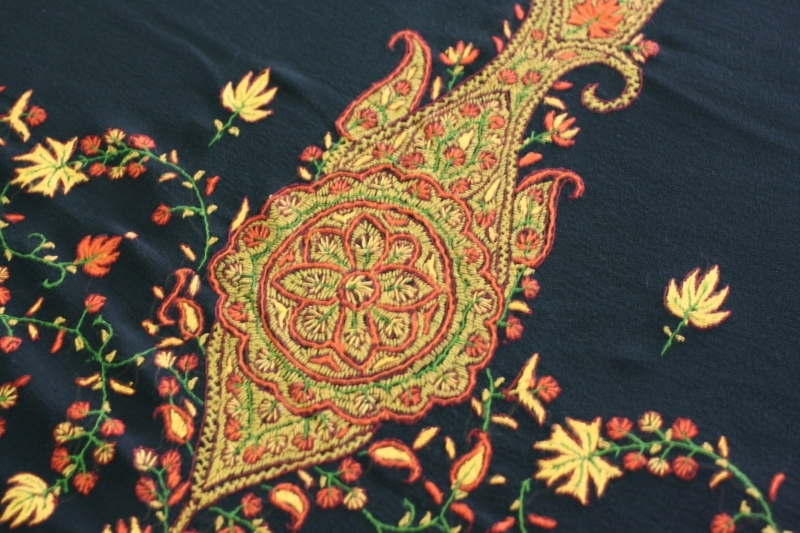 First, the only change that was made to it was to attach a brightly coloured silk border embellished with a little gold. 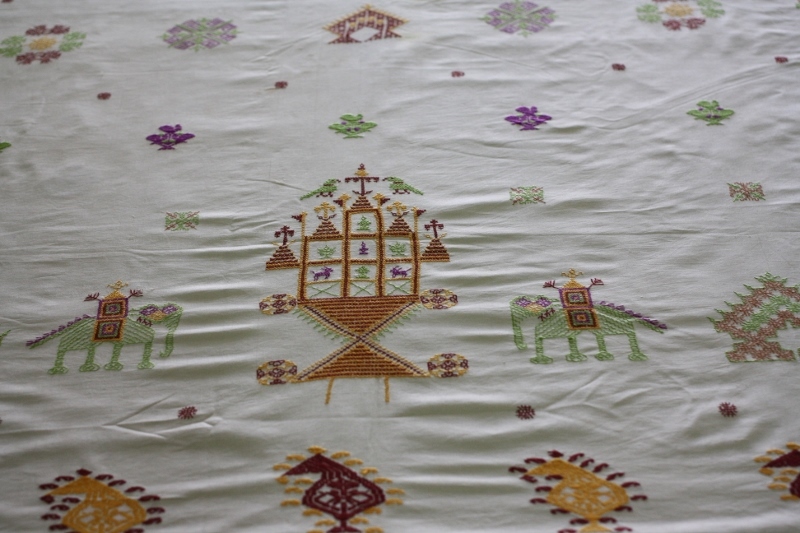 This little innovation was done by the expert master weavers of Saurashtra who, after fleeing their own land due Mohammed Ghazni’s invasion, had settled in Kanchipuram because of the huge demand for fine woven fabric. And thus the korvai technique was born. Gradually the cotton veshti was replaced with silk because silk was considered to be pure and hence necessary for worship. Around the 13th century when the reign of the great Cholas ended, Kanchipuram came under the rule of the Vijayangar kings. It was the great king Krishna Deva Raya who commissioned my creation for women of the palace to wear for religious ceremonies, weddings and other festivities. 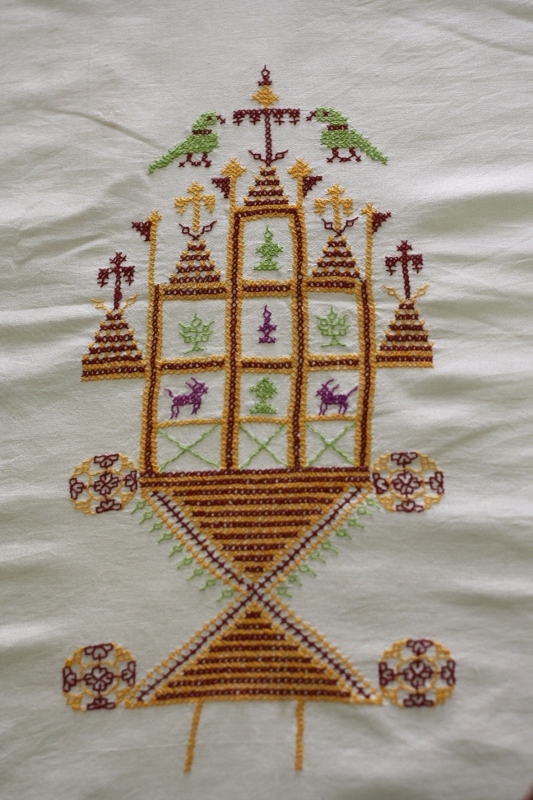 The korvai was by then too inseparably entwined in the hearts of the weavers. And that is how I came into this world, in this holy land. I was then and still am this beautifully woven, thick silk body with a heavy gold border attached to my edge, even if I may say so myself. 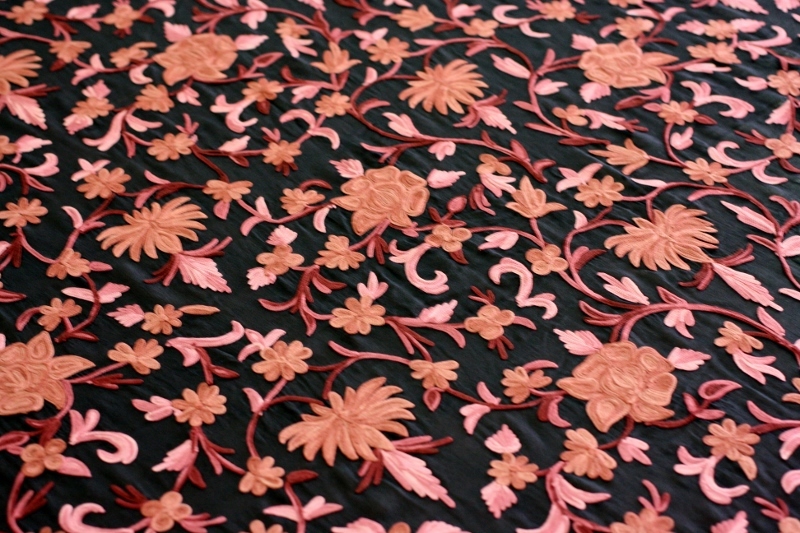 The pallu, with design elements similar to the border but larger in scale, was also attached to one end of me. 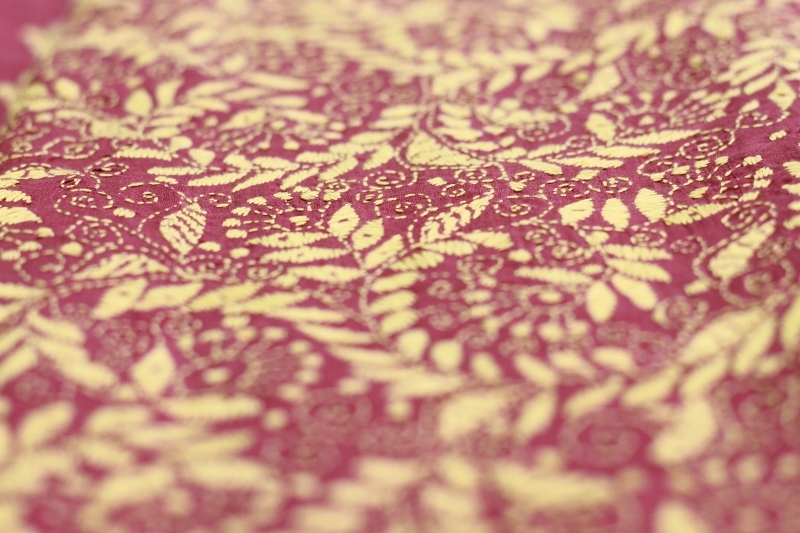 Traditional motifs inspired from temples, myths and legends were used to adorn my pallu. My pallu is attached to my body using the ‘petni’ technique. The petni pallu is another of my distinguishing features. And no, I am not launching into the petni story today. 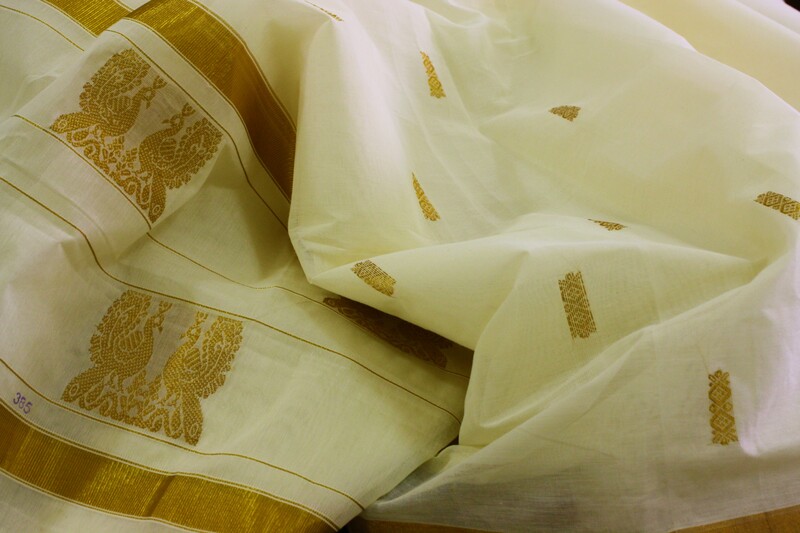 Any authentic Kanjeevaram saree will have the easy-to-spot petni – a strip where shades merge giving a beautiful new shade. The underside of the petni weave. Unmistakably a Kanjeevaram. So I guess now you understand how korvai and petni are both tightly woven in tradition. 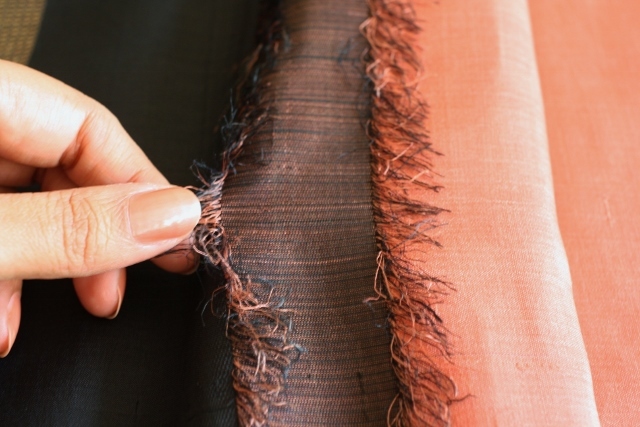 These traditional techniques are so deep-rooted in the Kanchipuram culture, that any of me made in Kanchipuram will always have these ‘birthmarks’. And what about me? What do I think of this tradition? I am of course immensely proud of having outlived the might of the Kings who made me. But I must confess that the future scares me. Modernization, coupled with easier ways of making a living has pushed the younger generations of weavers away from weaving. They find the korvai a hard task that does not pay well. Will I be me without my korvai and petni? 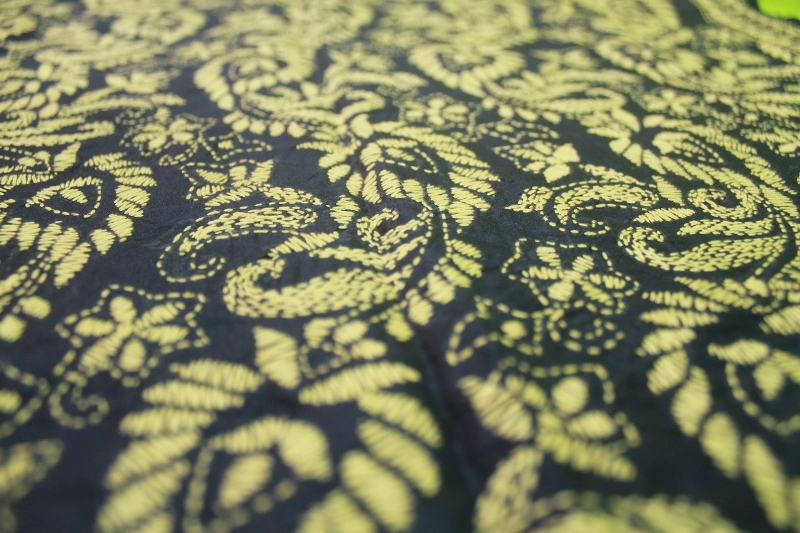 The korvai woven contrast is now my life and you will find this contrast all around me. 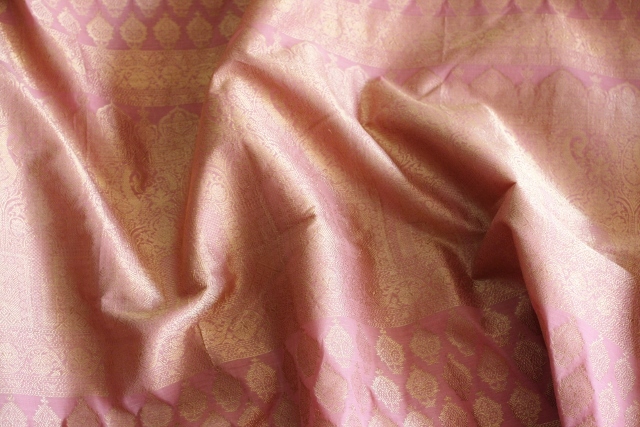 For example I am a saree that graces the lady of the humblest of house-holds in Tamil Nadu. And you will also find me adorning the lady of the most magnificent mansion. 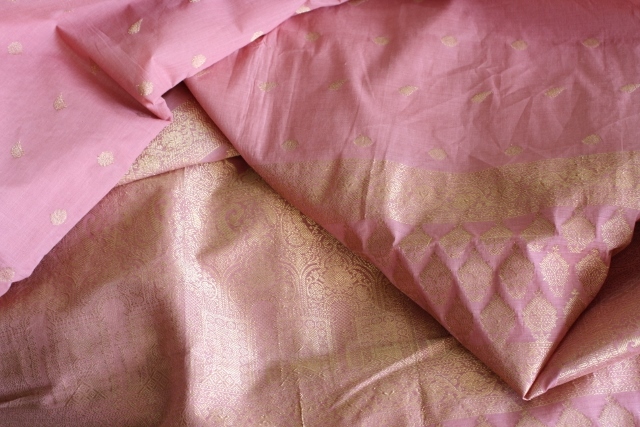 I can be a simple cotton pattu – an adaptation to suit the warm and humid climate of Tamil Nadu. Or I can be a resplendent dream in cotton fit for a bride. One more attempt at trying to bring out the soft, billowy feel of this ‘heavy’ saree. I look fragile and feminine and yet my silk fabric strong is enough to be a family heirloom for generations. I despise laundries where I am doused with harsh chemicals. Wash me at home in plain water. You think that wearing me will make you look like a ‘mami’ (Tamil word for an elderly woman)? Well, I am a traditional attire and if that’s how you view it, you might even look like a mami. Even though over time I have evolved and adopted newer design elements, I have not let go of my basic characteristics. So I will not be apologetic about it. When you think of me, think of korvai and petni and how it binds multitudes – generations of cultural evolution have not been able to untie it. When you own me, you own one of the most enduring legacies of myth, history and culture. Thank you for your patient listening of my story. 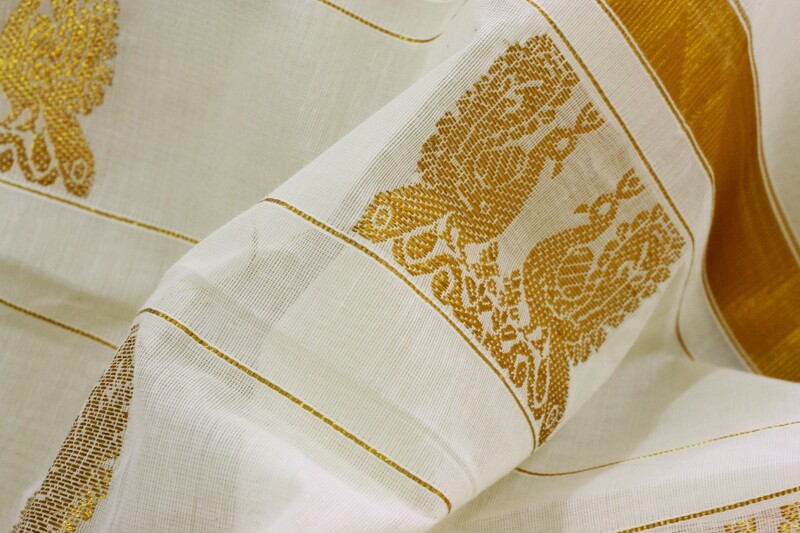 A kanjeevaram with a Ravi Verma paiting woven in its pallu. No way of knowing the source or authenticity of the claim that this saree costs INR 30 lakhs. But here it is, since we are on the subject. Copyright: All the text and images appearing in this post belong to Punam Medh unless stated otherwise. These may not be reporiduced in any form whatsover. There are as many sarees as there are dimensions to a woman’s personality. The Dhakai Jamdani saree is flirtatiously sheer, the Benarasi Brocade is glamorously resplendent, the Chanderi is quietly elegant and the Gara is provocatively beautiful. Since this is a blog post and not a book, I shall stop here. So which is the saree that shows a woman’s strength and character? For me, it is clearly the Ilkal saree – a no fuss creation with basic design elements and bold colours. 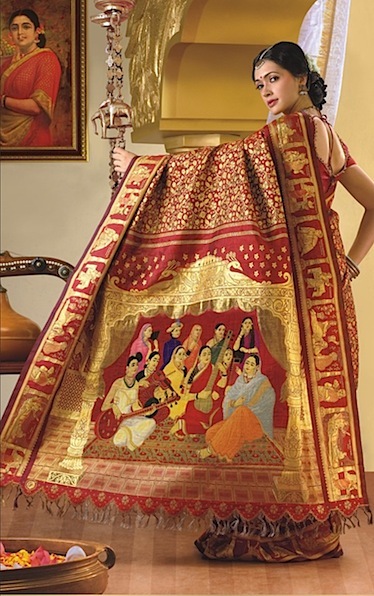 This is a saree created and worn by women who define toil and redefine strength several times over in just a lifetime. The Ilkal saree owes its simple, earthy look to its origin – the Karnataka rural heartland, in a town called Ilkal in the Bagalkot district. This saree is made from locally sourced cotton, is hand-woven in earthy colours like bright green, brown, dark indigo or orange. 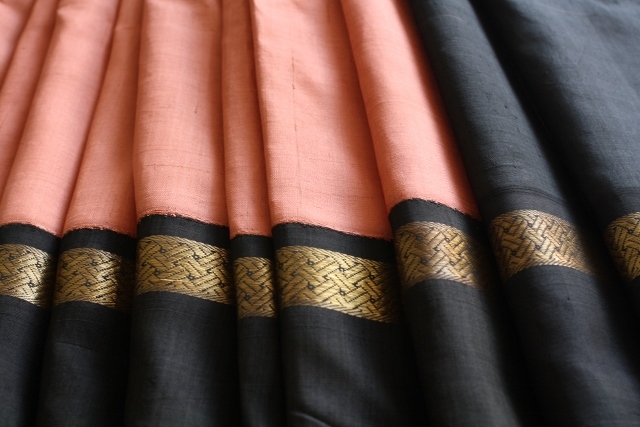 The body of the saree is of a dark or bright colour, plain or with small checks (called tirki) running across its length. 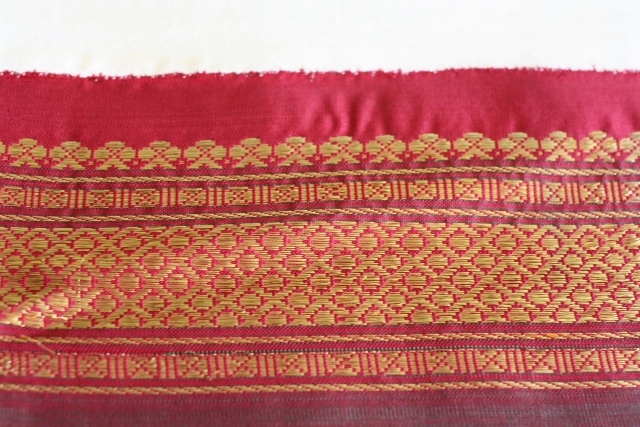 The most defining feature of an Ilkal saree is its bright red traditional woven border and a matching bright red pallu inspired perhaps from the bright ruby red granite mined in Ilkal. 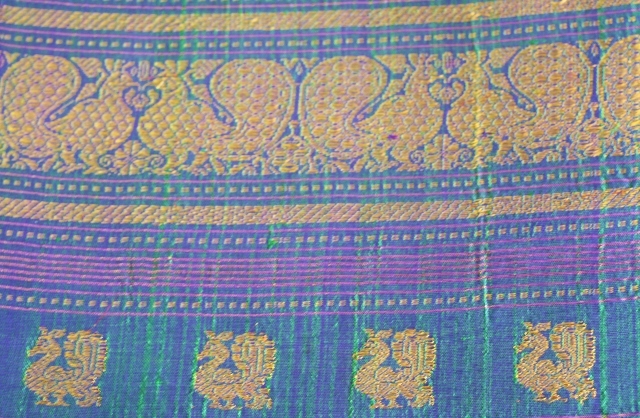 The geography of Ilkal – its unique placement in central Karnataka – is the chief reason the Ilkal saree also looks similar to sarees from its two influential neighbours – Andhra Pradesh and Maharashtra. 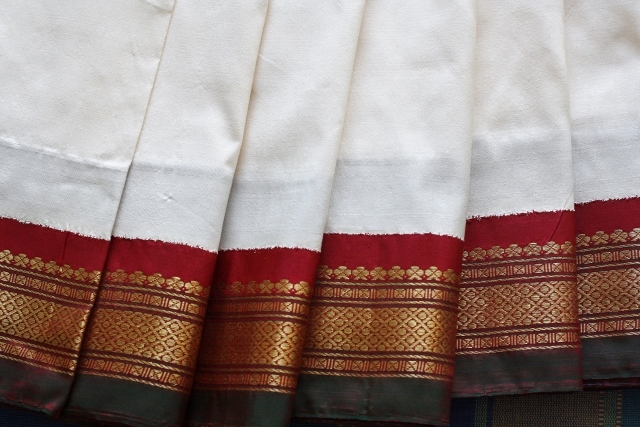 Like the Puneri saree, the pallu of the Ilkal saree has distinct red and white polyester-blend bands. 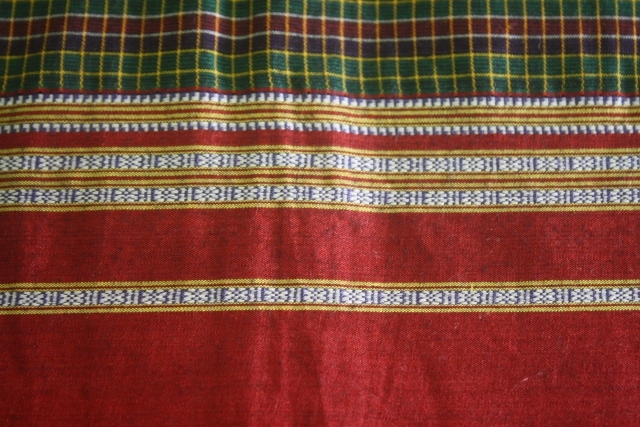 The pallu and border of an Ilkal however is almost always a red or a maroon with small white woven chain motifs. 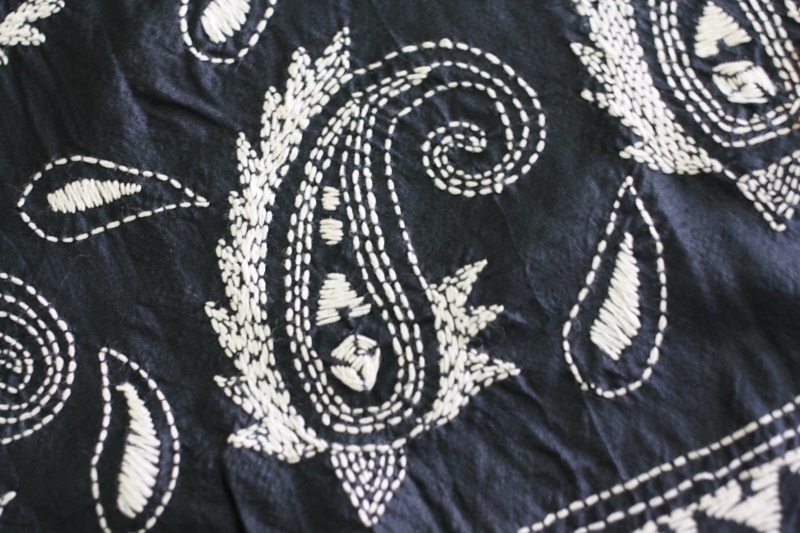 This saree was and is still made from locally sourced materials like cotton and Indigo dye (for the body) and a dye called ‘alta’ for the border. The Ilkal often serves as daily wear and festive wear. Sometimes the body of the saree and pallu is embellished with Kasuti embroidery to increase the festive worth of the saree. 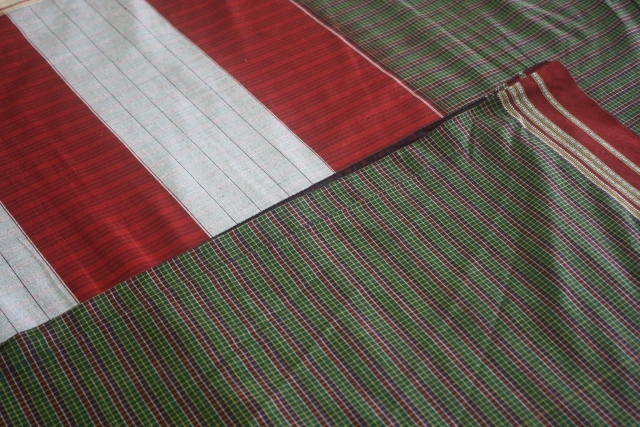 The Ilkal saree I am told is available in both 6 and 9 yards. 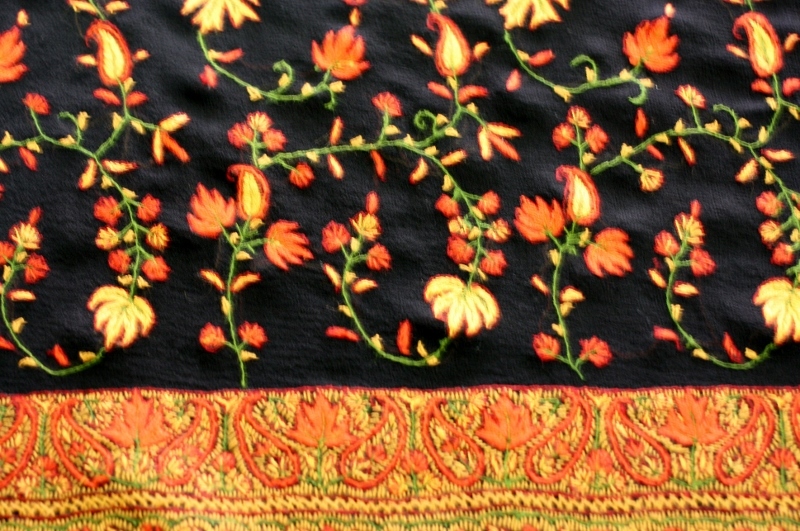 The width of the border maybe anything between 2.5 to 4 centimeters. I personally love thinner borders as they are rare and look distinct. The image below shows typical red Ilkal borders on different coloured dupattas that I once picked up from a shop in Dharwad, Karnataka. These borders are barely 2.5 centimeters. 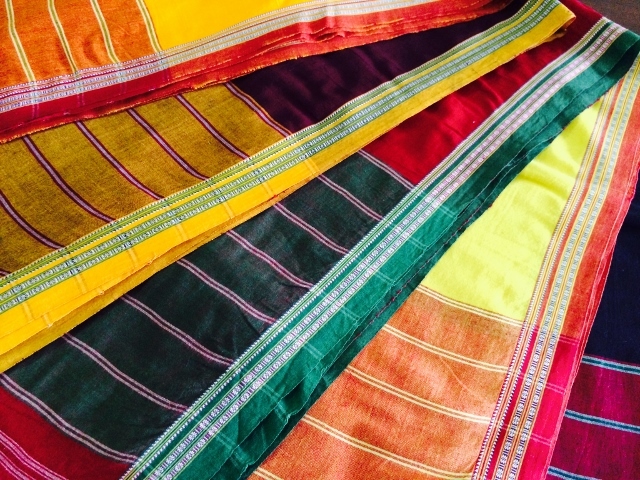 Ilkal sarees are sometimes named depending on their colours. 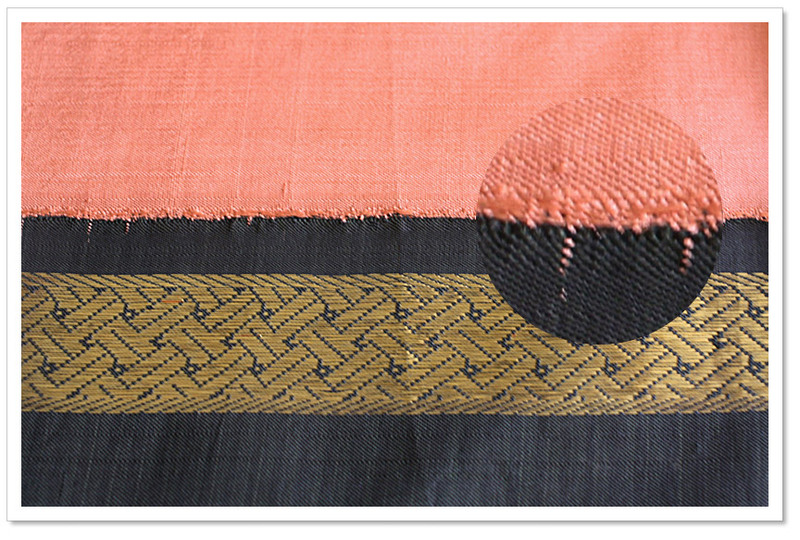 An indigo Ilkal is called Chandrakali and an orange Ilkal is called Basanti! 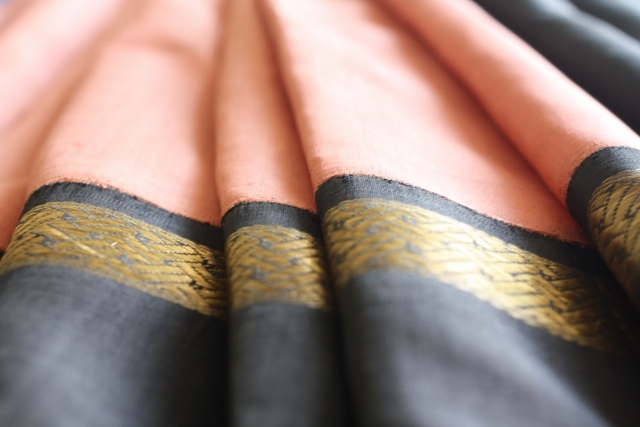 In my research for more information about the Ilkal saree, I came across two interesting pieces of information which I would like to share with you. First is this account of a lady (from the USA I think) who came down all the way to Ilkal town to look for this saree and her adventures in trying to locate weavers. 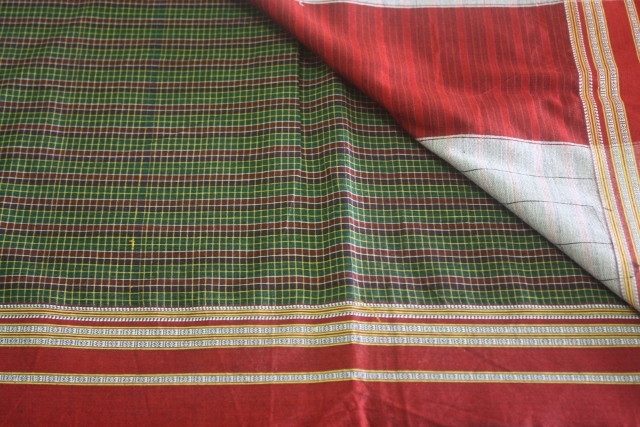 The second piece that I found repeated almost everywhere is about this unique feature of the Ilkal saree – the technique by which the pallu of the Ilkal is woven to the body – the topi teni technique. And the peril that Internet is – almost every definition of this technique I found was identical. And grossly insufficient. So the only reason I am sharing this with you is to not leave out what seems to be the most distinctive feature of the Ilkal. I wear the Ilkal often. It never gets me the ‘Oh wow! What a lovely saree!! !’ kind of reaction. But it almost always gets me a ‘hey, nice saree…Puneri?’ kind of a question-reaction. And I know why. 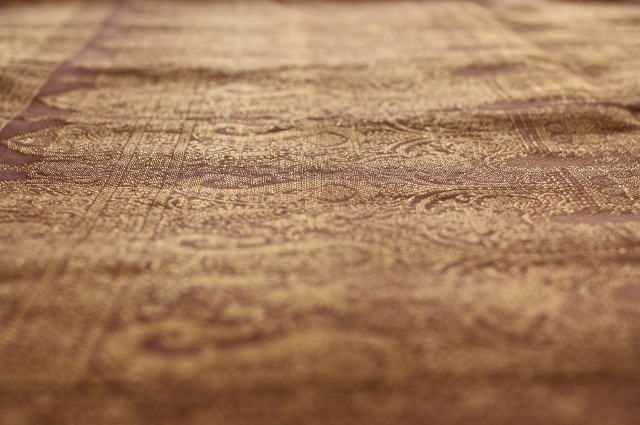 The earthiness of this saree lends its strength and character to you. And people cannot help but notice it. 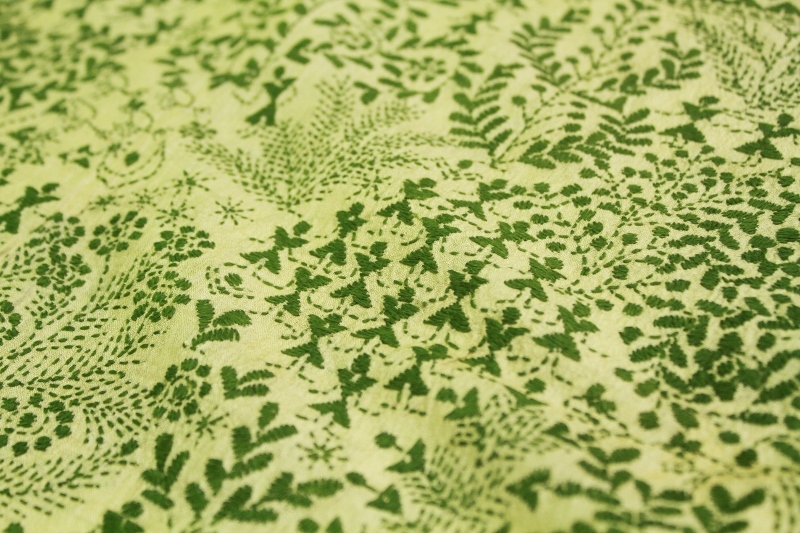 Look out for and wear an Ilkal to be in touch with something wholesome, something good and something earthy! Till we meet again over a J …. happy saree wearing for the upcoming festival season! Copyright: All images in this post are the copy right of Punam Medh. These may not be used for any other purpose.